Please note - outside of summer, tours are run by request and require a minimum of 4 guests to open. please contact us on (03) 6395 1390. You will have the chance experience the serenity of the forest as dusk falls amongst the trees. You may even be fortunate enough to see some of Tasmania's wonderful nocturnal animals on your tour! This adventure is approx 2-2.5hrs depending on your tour size with FREE PHOTOS INCLUDED! The tour combines the tranquillity of the forest with the adrenalin of gliding above and through a beautiful natural environment. Guests have a unique view of the forest from above and will see the trees and forest ecology in a new light and learn about our growing and vibrant Tasmanian forests. 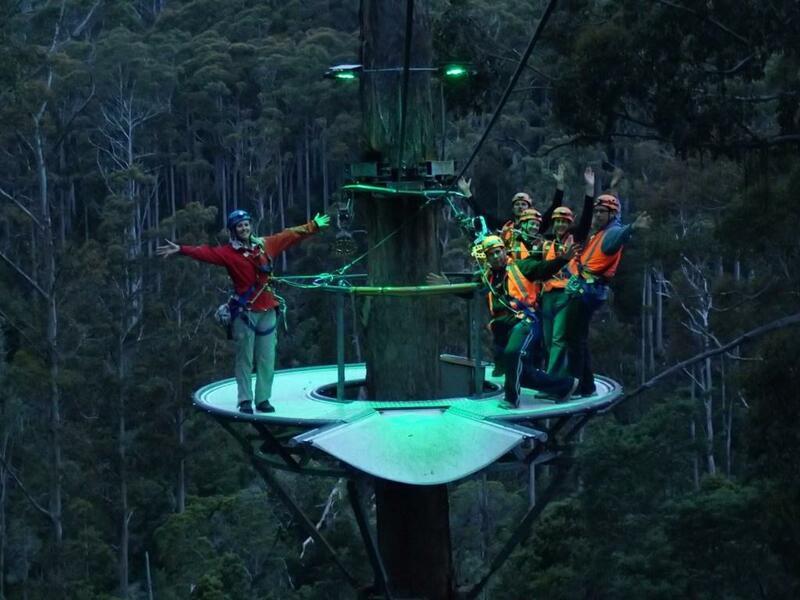 Gliding along wires and attached by harnesses, thrill-seekers are led by knowledgeable and highly-trained guides through the treetops and above the Pipers River. The journey includes cable spans of between 15 metres and 400 metres, connected between tree platforms called 'cloud stations'. Minimum age to participate without Parent/Guardian on tour with them: 13 years. Who are at any stage of pregnancy (risk of abdominal trauma). Who have spinal conditions (including neck). A guest should seek medical advice from their doctor should there be any doubt as to their ability to safely accommodate the stresses associated with the Zipline Tour. Please call us if you have a discount voucher you wish to apply to your booking.